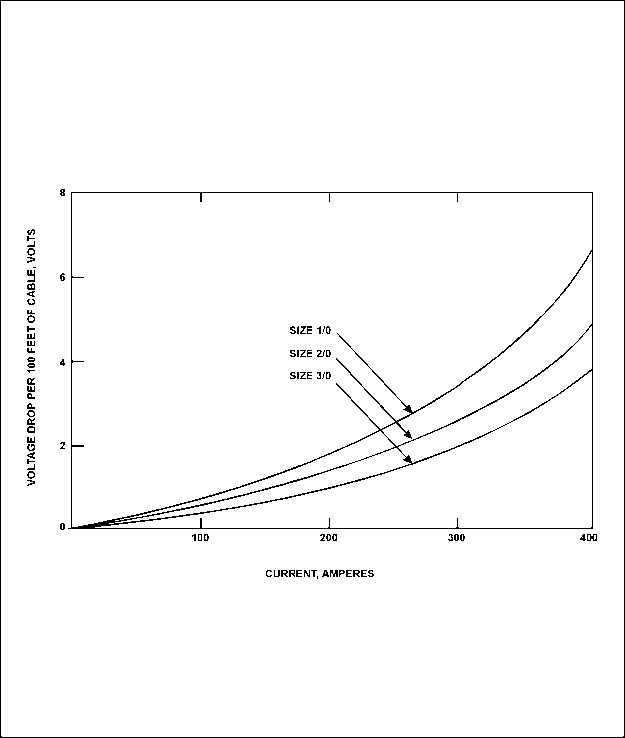 Figure 4-10. 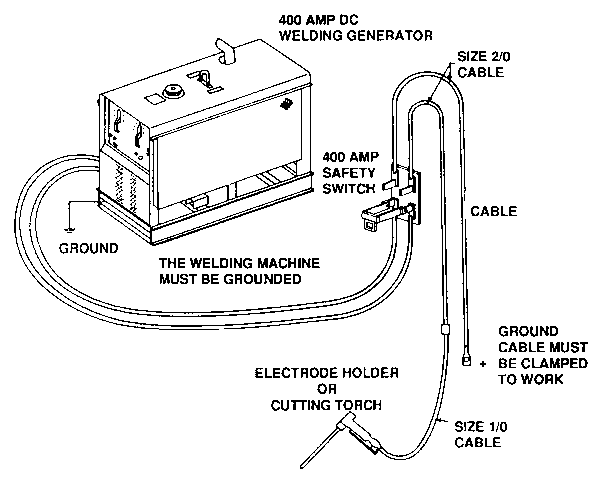 Voltage Drop in Welding Cables. a. Collet or grip which holds tubular cutting electrodes and provides for entry of oxygen into the cutting electrode bore. b. Oxygen valve for controlling oxygen flow rate. c. Electrical connector for attaching a power cable. d. Flash arrester to prevent hot metal particles from entering the torch. Never, under any circumstances, operate a cutting torch without the flash arrester and monel screen. e. Insulated coupling between the electrode and the oxygen valve to safeguard the operator from electric shock and to prevent damage of the valve due to electrolysis. f. Complete insulation for all current-carrying metal parts of the torch to safeguard the operator against electric shock and to protect the metal parts from deterioration by electrolysis. The diver can check a particular torch or electrode holder for electrical integrity by calling for "switch on," with the electrode not in contact with the work-piece. Bubbles due to electrolysis should arise only from the electrode tip. Bubbles occurring elsewhere indicate current leakage from the torch or electrode holder itself. Figures 2-6a, b and c illustrates the elements of three torches specifically designed for underwater oxygen-arc cutting.